SouthShore Villas, one of the most distinctive oceanfront condos in North Myrtle Beach, was meticulously planned and carefully crafted for the most discerning owner and vacationer in mind. 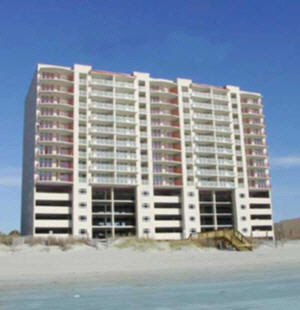 Located at 1401 South Ocean Boulevard in the Crescent Beach section of North Myrtle Beach, Drake Development developed SouthShore Villas. Each of the 63 luxury oceanfront condominiums are among the best North Myrtle Beach has to offer with unobstructed views of the Atlantic Ocean. This is not intended to be an offer to sell nor a solicitation of offers to buy real estate in South Carolina by residents of Connecticut, Hawaii, Idaho, Illinois, New York, New Jersey and Oregon, or in any other jurisdiction where prohibited by law. Copyright © 1999 Drake Development Company USA. All rights reserved. Site developed and maintained by Deborah S. Chaney.